…and that is because the ties between USA and Ireland are very strong indeed. Whether you are an American in Ireland or an Irish in America, we know that being able to send parcels and letters across the Atlantic is an important part of keeping those ties. 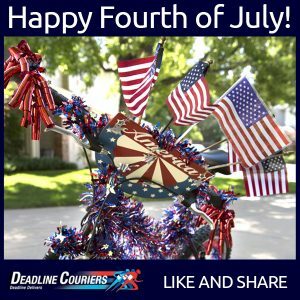 Deadline Couriers is very proud to offer a reliable and competitive International Parcel Delivery Service to the USA. A door to door service from anywhere in Ireland to anywhere in the USA, complimented by a sophisticated Track and Trace service that will let you know exactly where your letter of parcel are at any stage of the delivery. And in those cases where time is of the essence, we also offer Urgent services and Next Day delivery to selected destinations (ie: Dublin to New York, etc), at the most competitive market rates. But do not worry, we never compromise on the personal service from our staff and the highest standards of security and reliability. Deadline Couriers Worldwide International service is always at your disposal for a single domestic delivery to regular commercial contracts, do not hesitate to contact us, we want to work with you! !